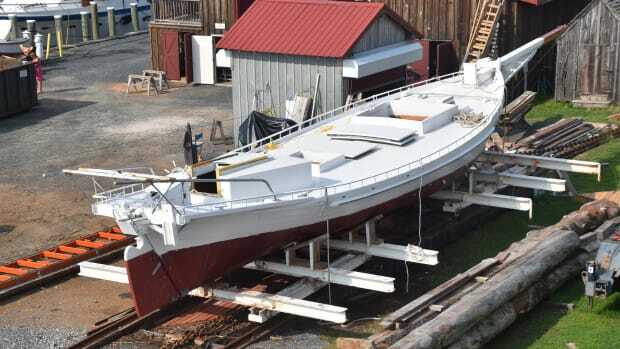 Shipwrights at the Chesapeake Bay Maritime Museum (CBMM) in Saint Michaels, Maryland, are hard at work restoring the sailing bugeye Edna E. Lockwood, a traditional Chesapeake Bay oystering vessel. 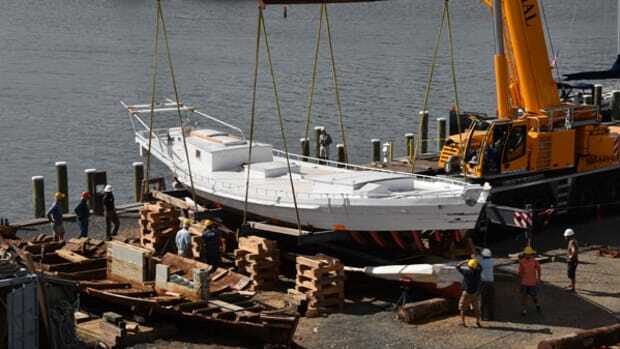 The biggest and most difficult part of the project — sourcing and then carving up several pine logs to replace her bottom— is complete. 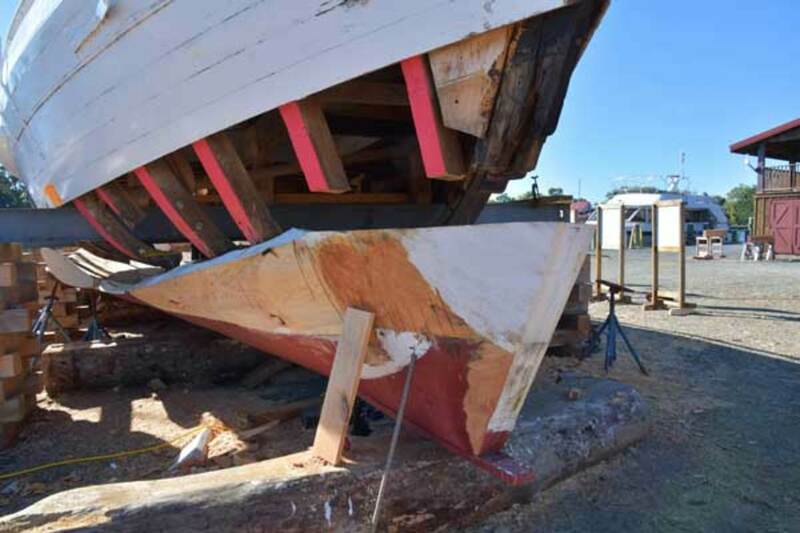 Now shipwrights will focus on removing her outer stems, mapping her plank lines and then jacking up her new bottom to fit perfectly with her existing topsides. 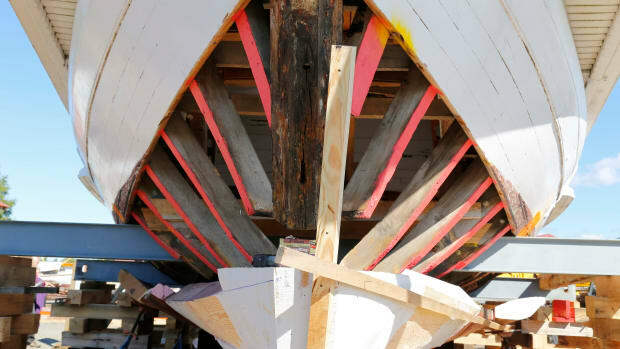 Once the topsides and bottom are mated, CBMM’s crew will move on to planking the decks and replacing the cabin house. Soundings first covered Edna Lockwood’s restoration in our December 2016 issue. 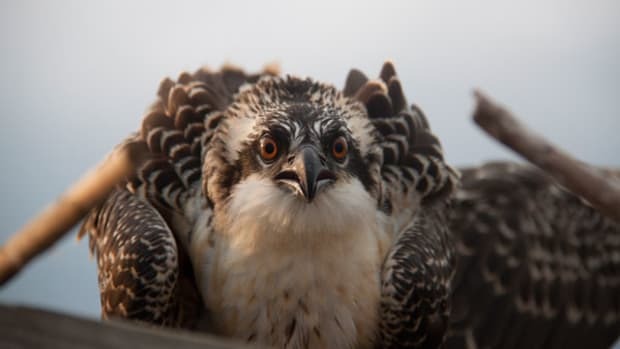 You can read regular updates about the project by visiting ednalockwood.org. 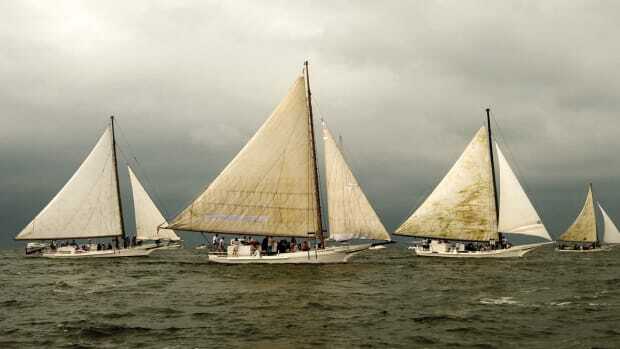 Shipwrights hope to finish in time for CBMM’s OysterFest, scheduled for October 27, 2018.